We all have ups and downs. Like many of you, I find the health care system to be a a mess. When a loved one needs care and is turned away after waiting months for an appointment because “we don’t take that insurance” and won’t even consider private pay, you know something is terribly wrong. So the process of calling dozens of doctors starts over again. It’s beyond frustrating. It’s heartbreaking. I worked a full day at the studio and hoped to make it to the picnic of our County Executive, Mark Poloncarz and I thank Katie McDade Burd for going on my behalf. It’s important we support our fellow Democrats and I will be dropping that check in the mail, Mark. It got dark and there’s a point where it becomes a little weird to be ringing doorbells. So, onward. After doors, I had to head off to Wegmans to pick up my dad’s prescriptions. One of them is very expensive because, as it gets closer to the end of the year, he’s gone over his cap. I asked the pharmacist tech, how seniors can do this. Fortunately my father can afford, but there so many who can’t. She told me that there are seniors who just stop buying their prescriptions because they can’t afford them. It is so sad that our beloved seniors go without the medications they need because the pharmaceutical companies and our politicians are strangling us with their greed. I’m a good person and I admit to be very ticked off right now. We need change and we need it now. Our healthcare system is broken. I want to win. 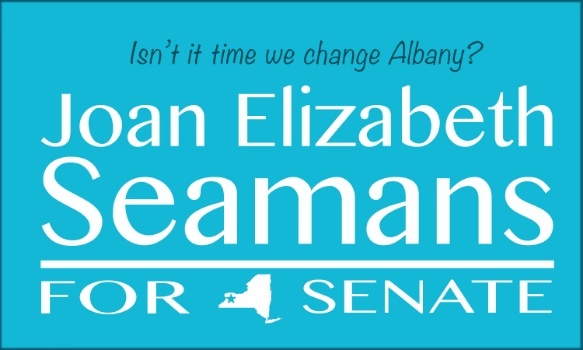 I want to win and get to Albany. I will work to bring affordable healthcare to all New Yorkers. It can be done and studies show NYS can afford to do it. We just need leaders who have the decency to work for the people and end the corruption that ties politicians to the money machines.